You know that the narrator, Fredrik Welin, lives alone on an icy, remote island in Sweden where the only person he sees with any regularity is Jansson, the postman. You know he was once a surgeon, but some catastrophic mistake has ended that period of his life. You know that he once loved Harriet, but left her quite suddenly one day, completely unexpectedly. This isn’t a mystery as one would expect from the Scandinavian crime authors. But it carries an atmosphere of underlying suspense which is relentless, while closely observing the loneliness of an isolated life. Fredrik breaks the hole in the ice every morning so that he can submerge his body in the freezing water, just to remind himself he’s still alive. And one day, when he looks up, he sees Harriet with a walker watching him. It has been decades since he last saw her, and she tells him he must fulfill his promise to take her to a lake in the northern region where he had once gone with his father. Their journey involves looking back at the life they’d had together which had been so abruptly interrupted. It also involves a visit to an Italian shoe maker, so skilled in his craft that he only makes one or two custom pairs of shoes a year. Italian Shoes is a tender sort of novel, not necessarily a thriller, that shows a tender side of Henning Mankell. If you only know him from his Kurt Wallander series, you might well enjoy this poignant novel told from the point of view of a 65 year old man revisiting his past. Thus able to face his future. I am a sucker for Italy, too, Stu, and shoes. I didn’t know about Daniel Day Lewis’ shoe “career” as a break from acting, but how interesting. This is a short, thought-provoking novel suggested by a book club friend, and I think you might very well like it. While it does sound like it’s quite different from his Wallander series, which I’ve enjoyed, I think I would like to read this one. Glad to hear you enjoyed it! I haven’t read any of the Wallander books, for which he’s so well known. But this is unlike what I would expect from the typical “Scandinavian novel” of crime writers. It was gentle and tender and explorative rather than harsh and cruel. I quite like the sound of this novel. Slow and tender, but still a mystery. Did you enjoy the prose? I did enjoy the prose, as well as the mood. But, it doesn’t stand out as particularly beautiful prose. I think it was more the story, especially from the point of view of an older man, that was engaging. While I first discovered Mankell via his Wallander novels, I have a lot of time for his other books. I reviewed this on my blog when it was published in the UK (2009) and I’ve also reviewed another couple of his non-crime novels. I hope his achievements as a writer are not overshadowed by his detective. I enjoyed reading your thorough review. Mine is such a skeleton in comparison, but I never am quite sure how much to reveal. 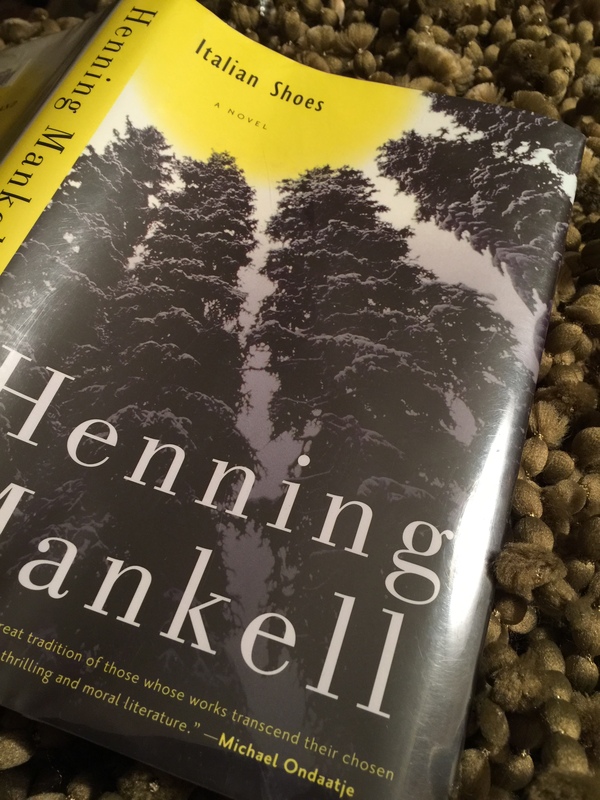 This is the only Henning Menkell novel I’ve read, but I was relieved it wasn’t like Steig Larsson of whom I’m not especially fond. He certainly couldn’t have (didn’t) write anything of this nature. This sounds like a book I’d enjoy. Thanks for bringing it to my attention! Thanks for visiting and reading about it! I haven’t read any of Henning’s books, although I’ve meant to give Faceless Killers a try. This one sounds like a more gentle, introspective novel. I’ll have to give it a peek.